Back to our main interest here: documenting Chuck Berry's recordings as completely as possible. Chuck's work for Chess records is known pretty well nowadays. We have heard the 1950s recordings over and over, first on their original releases, then on all the 1970s re-releases, next when transferred to CDs, then in complete by HIP-O Select and Bear Family. So we should know them by heart. According to your info, only one Chess take of Carol has been found. I think I may have found a second take. I noticed differences in the piano playing. Willem included an MP3 of the version he found. It's a version most Chuck Berry collectors have sitting on the shelf. But yet it is different. Get any of your records containing the 1958 hit Carol and listen to it. Now locate you old copy of Chuck Berry's Golden Decade Vol. 2. Carol is the very first track on side one. Play it. Hear any difference? Probably not. The singing is completely identical as is the guitar playing. However, Willem is an expert on Jerry Lee Lewis. So he did not care about the guitar or the singing. He heard the piano. And he heard a different piano. After a week of discussions and with the help of Arne's technical expertise (Thanks, Arne!) we finally have to agree with Willem. 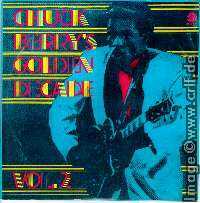 The recording of Carol on Chuck Berry's Golden Decade Vol. 2 (Chess 60023, USA, 1973-02) is different indeed. It contains the exact same recording as the usual version, but there's another piano line. Listen for instance to the solo near the end of the song (at 2:33): On the 'new' version you can clearly hear the pianist performing a slide (glissando). On the 'common' version it isn't. There are some other piano differences at the beginning of the song and in between as well. The differences are minimal and you need to have a good and piano-trained ear to spot them. Since the singing, the guitar, and even the original piano lines are exactly the same on both variants, it's clear that this is not a different recording/take. Instead it seems that Chess overdubbed another piano track onto the recording, probably because the original piano was pretty thin in the mix. Remember that in 1958 Chess recorded in Mono to a single tape. No way to enhance the original piano line later. Note that also the guitar was overdubbed, but this is identical on both variants, so must have taken place before the piano overdub. Why the enhanced variant did not make it to the original release, remains unknown. 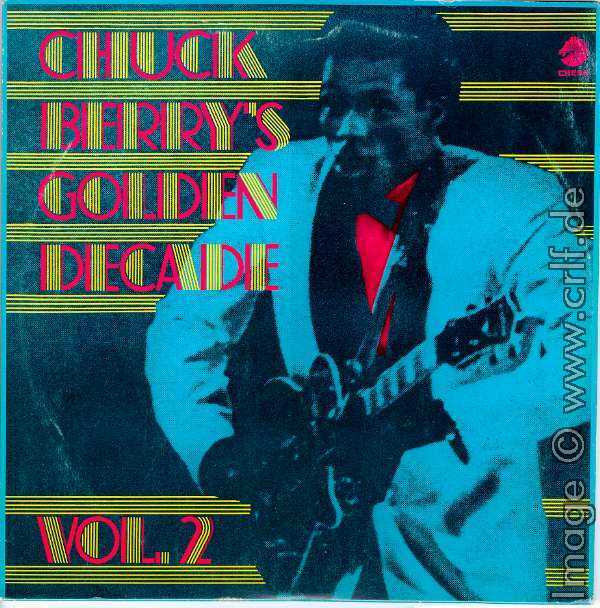 The inclusion of this 'new' variant on Chuck Berry's Golden Decade Vol. 2 (again I show the much prettier UK cover) fits to the known facts about this strange release. Collectors had already found differing variants of Let It Rock (missing the guitar overdub) and Betty Jean (previously unreleased take) in this set. Since all three variants on Chuck Berry's Golden Decade Vol. 2 sound very much like their 'correct' releases, we doubt these were released intentionally. Especially as the liner notes don't tell anything. Or maybe some re-release engineer tried to tease us. In this case he succeeded for 44 years! If you don't have the original 2-LP set, listen to other late 1970s re-releases. We have found the piano overdub on a few other albums. We haven't found it on any CD, though. If you do, let us know. Many thanks to Willem, of course!